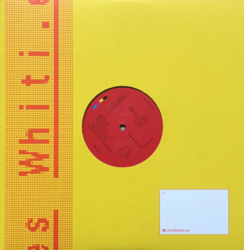 Nathan Micay - Whities 017. Vinyl EP. Bleep. For those seeking the escapism administered by the likes of Oni Ayhun’s OAR003, Nathan Micay’s offers us ‘Whities’ released on imprint of the same title. Hailing from Toronto but currently based in Berlin, (formerly) Bwana/Nathan Micay presents two tracks of unrelenting optimism. ‘First Casualty’ embraces a library of upbeat drum rhythms and resurgent bass elements to a construct a moving piece of music, where synth and keys unfold generously, leading us across a work drenched in euphoric tones and reflective ambience. ‘Beginning Balance’ splutters with kicks and snares, but it’s Micay’s use of high frequencies that steal the show, leading listeners down a similarly positive path.